It’s one of the most overlooked (and undervalued) elements of an online platform that converts. In an instant, the poor performance of your website can undermine much of the hard work that every serious WordPress publisher does to build their presence and livelihood. Poorly coded themes, unstable plugins, and lapses in security can all turn a normal day into a digital panic room. We’re not big fans of digital sharecropping or shoddy, unoptimized hosting. If you remember, we dislike it so much, we actually built our own managed WordPress hosting. And, thanks to Jerod Morris, we’re compiling some very valuable WordPress management advice over on the Synthesis blog. So valuable, I think, that I wanted to highlight some of it for you here. If you are serious about using WordPress as a tool for publishing online content to drive traffic and build revenue for your business, start here. Minimize costs and maximize the potential for your success by learning some of the hidden expenses of WordPress management, as well as the pros and cons of everything from digital sharecropping to premium managed WordPress hosting. Get time-saving tips to keep you on track and profitable. There are four factors that separate the professionals from the amateurs on the digital frontier, and Mr. Morris wants you to run a more efficient online business. Find everything from the importance of keeping your site reliable, the visual impact of your brand, and the execution of smart online marketing with true efficiency. You don’t need a major in Philosophy to understand and use this great advice on how to maximize the positives of one of WordPress’s most versatile (and potentially maddening) components — the plugin. In the debate between your website’s functionality and stability, learn some rules to live by about finding and using plugins to make your online life a lot easier. Get a walkthrough of newly released WordPress Version 3.4 and its powerful built-in options. Learn the ropes with 13 mini-tutorials of some of its lesser-known and more useful tools including a live theme preview that lets you experiment with the look of your site before going live, and many improved post editing options. Publishing great content has never been easier. Choosing the right plugin can be a bit … confusing. Learn the three questions to always ask yourself before deciding whether or not a plugin is actually what your site needs. Sure, they can solve problems and serve important functions, but are they always good? And get a solid suggestion for one of the most respected analytics plugins available. 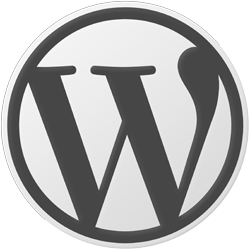 The official Jetpack Plugin by WordPress.com has been touted as a versatile, swiss-army-knife for WordPress. This completely free plugin slices, dices and makes a few essential tasks pretty easy for online publishers. Mr. Morris thinks you should install it now, and discusses its more impressive functions: beefed up stat reviews, enhanced social sharing, site comments and subscriptions, simple contact forms, and the built-in spell, style and grammar check software (I’m sold). In honor of one of the greatest leadership and productivity manuals of all-time, this post shines a light on your objectives as a WordPress publisher with one overall goal in mind: To make you the most efficient, focused, and successful website owner you can be. Great advice for any online publisher. Serious online publishers, entrepreneurs, professional bloggers and business owners all know that when it comes to finding the right balance of elements that will keep a website performing at the highest level, there isn’t a lot of room for error. Click here if you can’t view the video. Check out Synthesis WordPress hosting today. Thanks for the roundup Kelton. I’ve thoroughly enjoyed getting the Synthesis blog up and running. Each post is a chance to positively impact the ever-growing roster of sites that host with us, as well as all of the other millions of WordPress users out there. It’s a great community and conversation to participate in. My pleasure sir. Thanks for the wealth of information! Your prolific blogging is an inspiration. Thanks for finding these great information and sharing it with all of us. WordPress is surely a platform most bloggers use. New bloggers will really save their time in going through all the troubles and mistakes most old time bloggers had in their earlier days. Great article and tips!! So helpful and I love all of the great ideas! Cheers! If I know Jerod, there are many more great ideas to come… stay tuned. Thanks Kelton. Indeed! That’s the great thing about WordPress, is that there is always something new to explore and write about. Great reads I am constantly printing out and reading articles to better myself at WordPress. Great articles. I will need to work my way through them one at a time. Thanks for putting them into one article which I can refer to over and over again. These are awesome links and learned lots of new things here. Thanks for gathering and providing worthy information. Great resources on WordPress articles. The article – “True cost of building and managing WordPress website” is a good read for publisher’s who want to start a website with WordPress. Thanks for sharing Kelton! The word “Serious” on that headline certainly caught my attention and I have to admit that some of the articles you highlight are very interesting reads. The only one that I am still in doubts is about JetPack. I have heard that it consumes quite a lot of resources and may even hamper a WordPress sites performance. How true do you think this is? DiTesco, thanks for posting the question. Your thought process here is spot on as site owners should be questioning each and every plugin they add to their site. First, JetPack is written and maintained by Automattic. It is safe to say it is well written and will be evolved to be even better if there are inefficiencies in its current version. It is also nice in that they’ve collapsed the functionality of 5+ plugins into a single framework like code base. With that said, we take a two pronged approach at Synthesis on these topics. The first, is cache and offload as much traffic as possible to something outside of PHP. We can successfully do that with the majority of what JetPack produces. When you can’t, we expect a plugin to be smart about it. JetPack is. Still, a site’s situation is driven by its own implementation and hosting. So, I’d advise you to do exactly what we do here which is “follow the data”. Grab a copy of the P3 Profiler (http://wordpress.org/extend/plugins/p3-profiler/) and see what kinds of data turns up. The data never lies and will serve you well in making decisions on all plugins you consider introducing to your site. Again, great question–thanks for posting it. Absolutely! The Synthesis blog is a great resource for WordPress publishing tips. Thanks Kelton! This is an excellent WP resource..thanks so much for taking the time to put together and list these guides.